The bulldozed ‘buffer zone’, the ‘no man’s land’ lining the west of the Jungle, transformed for an afternoon. For the camp’s 514 children and over 4,000 adults, there’s little distraction from the challenges of day-to-day life. 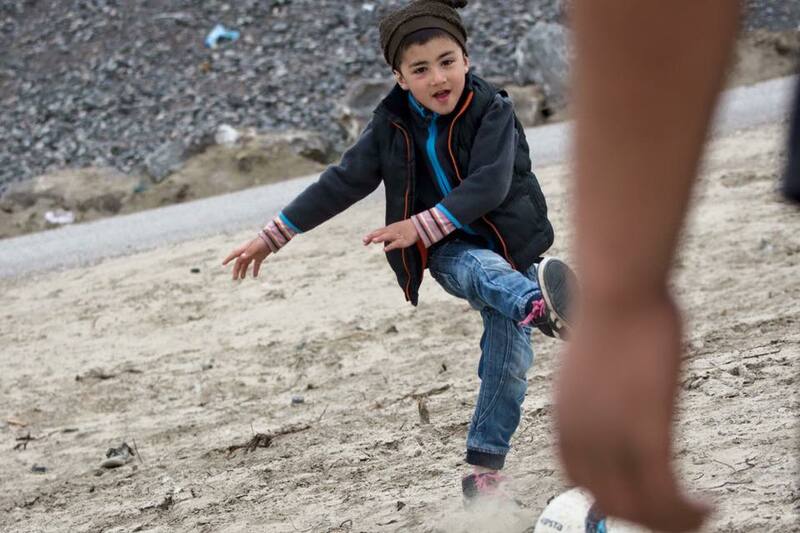 But after scraping the edges of football pitches into the sand, and raking the area clear of spent tear gas canisters, refugees and volunteers came together to play football and volleyball for an afternoon. Increasingly cramped, sport provides a brief but welcome respite from the boredom and troubles of the Jungle.